By John F. McKenna (McJack): It goes with out saying that the back and forth bickering between the camps of undefeated World Boxing Council (WBC) welterweight champion Floyd Mayweather Jr. (42-0, 26 KO’s) and Filipino icon WBO welterweight champion Manny Pacquiao (54-3-2, 38 KO’s) has become nauseating and in effect has accomplished nothing. Pacquiao adviser Michael Koncz has revealed that he has been in constant communication for the last several weeks with Mayweather in hopes of putting together the Mega fight everyone wants to see. But the fight was put on hold, at least for the time being, when the Mayweather camp announced that Floyd had decided to fight (WBA) super light middleweight champion Miguel Cotto (37-2, 30 KO’s) on May 5 at the MGM Grand in Las Vegas. Koncz told ESPN.com that he offered “Money” Mayweather $50 million to fight Pacquiao. The offer Koncz made was with the full knowledge of Top Rank CEO Bob Arum and Pacquiao. In addition to the $50 million offer, Koncz stated that the American superstar was offered a 55-45% split, with the higher percentage going to the winner. Apparently the $50 million plus the 55-45% split was not enough to move Mayweather who turned the offer down. It is interesting to note that Floyd turned the offer down because a couple of weeks ago he also turned down a 50/50 deal with “Pacman”. The deal proposed by the Pacquiao camp would far surpass what any fighter in boxing history has earned for one fight. But ironically it may be more than just the money for “Money” Mayweather. Apparently Floyd is so paranoid about losing his “0” that he must be absolutely certain of winning before he enters the ring with any fighter. In this writers humble opinion Mayweather would win a match up with Pacquiao, perhaps decisively. 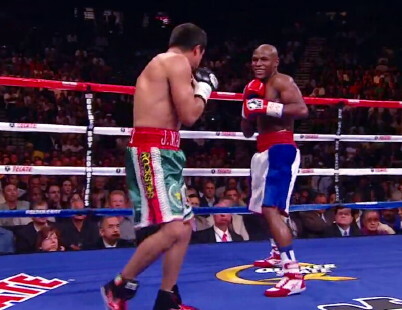 But in Floyd’s mind there must be enough risk for him to avoid the Mega fight with Pacquiao. Koncz went on to say that Manny has no problem with the drug testing and had agreed to everything that was asked of him. Koncz also said that his conversations with Mayweather were cordial and they both treated each other with the utmost respect.